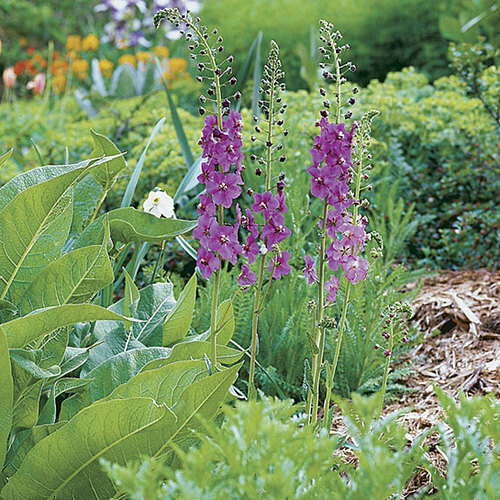 This biennial or short-lived perennial has evergreen woolly leaves like silvery flannel that make sensuous-looking rosettes in the first year. 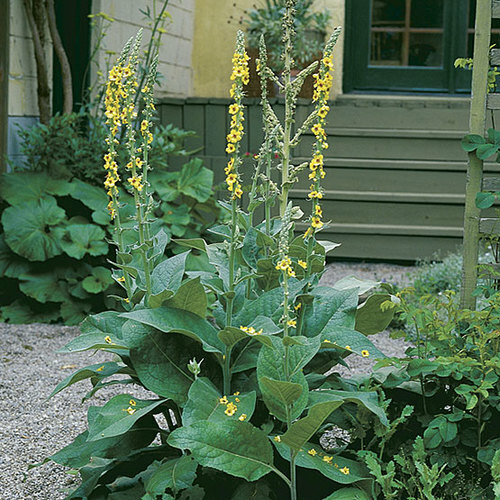 In mid- to late summer of its second year, large sulfur-yellow blossoms open from the bottom up on flower stalks that reach up to 6 feet high. Blooming continues for many weeks. 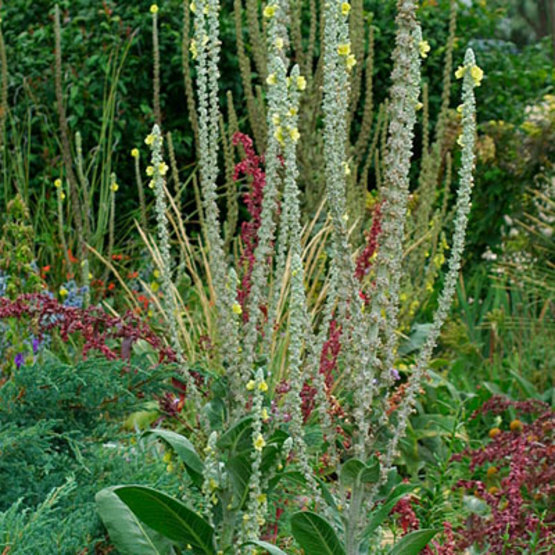 Verbascum bombyciferum has naturalized in regions of the U.S.
Noteworthy CharacteristicsThis species is found on dry, stony hillsides and open woodlands, but is well-adapted to cottage, gravel, and rock gardens or naturalized areas. It will self-sow, but not as a nuisance. 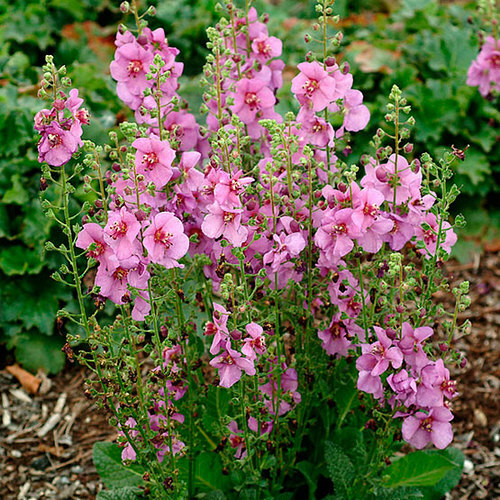 PropagationSow seeds directly in the garden in spring or in containers under a cold frame. Divide in spring.